Some of the earliest rumors surrounding Marvel's Spider-Man concerned the wallcrawler's friendship with Iron Man, with speculation the Avenger would be a mentor of sorts to the new hero. That's been seen a little bit in the trailers and TV spots for Captain America: Civil War because clearly Spidey is fighting on Tony Stark's team. And now it looks like that association will continue into Spider-Man: Homecoming, because Robert Downey Jr. is joining the cast. 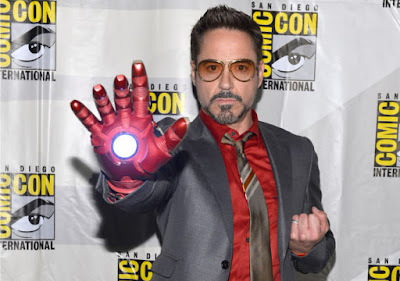 Variety reports that Robert Downey Jr. will join Tom Holland, Marisa Tomei, Tony Revolori, Laura Harrier, and Zendaya in the superhero film. But wait, where's Michael Keaton? Wasn't he expected to play a villain, rumored to be the Vulture? Well, he was, but Deadline says he's dropped out and won't be involved at all. Disappointing because it would have been cool to see the former Batman play a supervillain for once. Don't be surprised if more Avengers make appearances in the film. With Iron Man likely to take a back seat in the MCU soon, Spider-Man is going to be pushed as one of the central characters to be followed. Spider-Man: Homecoming opens July 7th 2017, directed by Jon Watts.